It is far beyond the pale of a post such as this one to answer any and every question that could be raised about this report and the contents therein. But a line from Senator Kerrey’s opinion piece, I believe, is worth our special consideration: “[The report] contains no recommendations. This is perhaps the most significant missed opportunity, because no one would claim the program was perfect or without its problems.” I could not agree more. To make the claims that this Committee’s report makes and then to offer no recommendations going forward is not only unhelpful; it is outright irresponsible. There is a very good chance that, once again, this country will be struck by a terror attack. If we fail to learn from what happened in our intelligence gathering efforts this time, we will not be able to improve on them for next time. We need to get our act together – both for our national security and for our ethical integrity. It is with this pressing need in mind that I offer three lessons I think we can learn from the Committee’s report. Lesson 1: Count the cost. There is much that can be disputed in the Intelligence Committee’s report. Some basic facts, however, do emerge. Prisoners were subjected to rectal feeding and rehydration as a way to try to obtain information. Some 26 detainees in these prisons did not meet the government’s standards for detention. One intellectually challenged person was held solely to get information out of one of his family members. During a waterboarding session, a detainee became, according to the report, “completely unresponsive with bubbles rising through his open, full mouth.” Another detainee who was doused with water and left partially unclothed died of hypothermia. When undertaking a building project or going to war, contractors and generals ask, “Will the money spent or the lives lost produce the outcome we need?” If not, we don’t do it. Similarly, no matter how hard these questions may be, we must ask of our interrogation techniques: What did we gain and what did we lose? What intelligence did the interrogations gain for us? What ethics did they compromise in us? There are times when a good end might justify some rough, though never unjust, means. One needs to look no farther than the cross. In the divine economy, God determined the end goal of our salvation was well worth means of the sacrifice of His one and only Son. Yet, this cost was unique because, in this case, not only did the end justify the means, but the means, in a much more profound way, justified the end! This is why Paul can write, “We have now been justified by [Christ’s] blood” (Romans 5:1). We need to interrogate these interrogations. If we don’t count the cost from this time, we will repeat this time’s errors next time. Lesson 2: Accountability is key. When checks and balances are removed from any system, the system becomes ripe for foolish decisions at best and outright corruption at worst. The old saying, “Two heads are better than one” really is true. If there is no one to point out a blind spot or offer an alternative perspective, disaster is not far behind. Lesson 3: Don’t make the exception the rule. I respect their dedication and appreciate their dilemma. Senator McCain is right. The C.I.A. specifically and our government generally was faced with some excruciatingly difficult decisions and dilemmas after the September 11 attacks. Yet, it amazes me how often we use the extraordinary circumstances of big headlines to excuse our behavior in the ordinary circumstances of everyday life. I do not know how many times I have taught on Jesus’ words in the Sermon on the Mount, “Do not resist an evil person. If someone strikes you on the right cheek, turn to him the other also” (Matthew 5:39), only to be asked, “But what if someone breaks into your house in the middle of the night and threatens to kill you and your family? Should you just turn the other cheek and let them do it?” Whenever I receive this question, I want to ask, “When was the last time this happened to you? Is this a weekly occurrence that you need a standard strategy for dealing with break ins and death threats?” The apostle Paul notes there are exceptional circumstances when we may not be able to turn the other cheek (cf. 2 Corinthians 11:19-21). But let’s not make the exception the rule. The fact of the matter is this: 99 times out of 100, we can turn the other cheek. What we do with our enemies every day is just as important as a debate over what the C.I.A. does with enemy combatants during extraordinary days. Let’s not lose our perspective. I think that any thoughtful person who aggressively advocates for one position or the other surely asks himself in quiet moments: “Am I certain I’m right?” The waterboarding critic asks himself “Am I being naive?”; the waterboarding defender, “Am I losing my soul?”. I’ll be honest: it’s Manzi’s last question that haunts me most. After all, it’s the question Jesus asks. Bob Kerrey, “Sen. Bob Kerrey: Partisan torture report fails America,” USA Today (12.10.2014). The Editorial Board, “C.I.A. torture stains American ideals: Our view,” USA Today (12.9.2014). Mark Mazzetti, “Panel Faults C.I.A. Over Brutality and Deceit in Terrorism Interrogations,” The New York Times (12.9.2014). Jeremy Ashkenas, et al., “7 Key Points From the C.I.A. Torture Report,” The New York Times (12.10.2014). 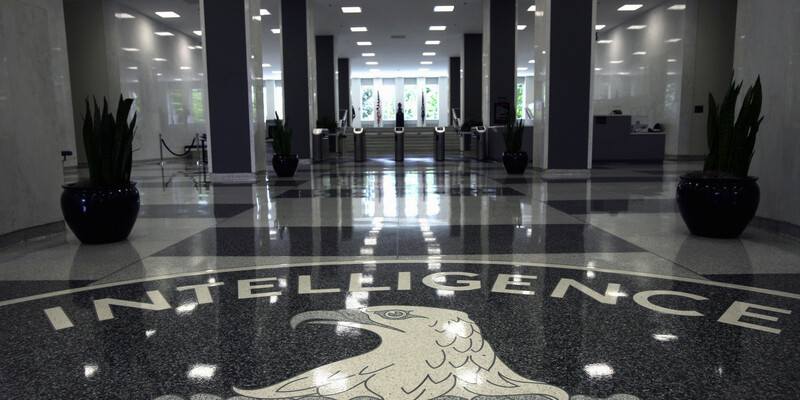 Julie Tate, “The C.I.A.’s use of harsh interrogation,” The Washington Post (12.9.2014). Matt Spetalnick, “Report slams psychologists who devised Bush-era interrogation,” Reuters (12.9.2014). Peter Baker, “Bush Team Approved C.I.A. Tactics, but Was Kept in Dark on Details, Report Says,” The New York Times (12.9.2014). Jim Manzi, “Against Waterboarding,” National Review Online (8.29.2009). Entry filed under: Current Trends. Tags: CIA, Enhanced Interrogation, Jesus, Jim Manzi, John McCain, Secret Prison, Senate Intelligence Committee, Theology, Torture Report, Waterboarding. I really liked this blog and the points you note for going forward. I would like to suggest an additional paper for you to read. It was released on the same day as the SSCI report and may make you feel better about whether the issue has been analyzed for lessons learned from this ordeal. It is the CIA rebuttal to the SSCI report and you can find it on the CIA website. In my opinion, it shows an organization that realizes mistakes were made, has taken a long hard look at the program, and has noted areas in which to keep this type of thing from happening in the future. Would love to hear your opinion after you read the CIA rebuttal.